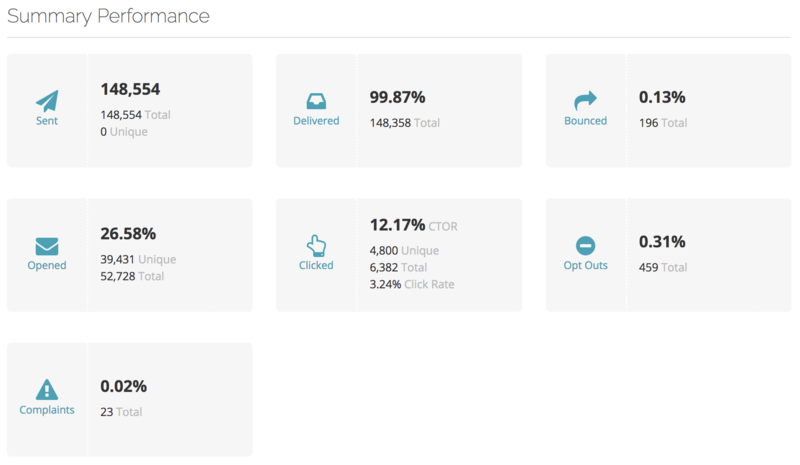 Automated message performance gives you an overview of how a message performed. You can view stats as an aggregate of all messages or per message sent. You can view message performance by opening an automated message and selecting either Sent or Aggregates under message performance. Aggregate totals can be rolled up daily or hourly. This can be configured on the Goals & Tracking tab, under Settings per each automated message. 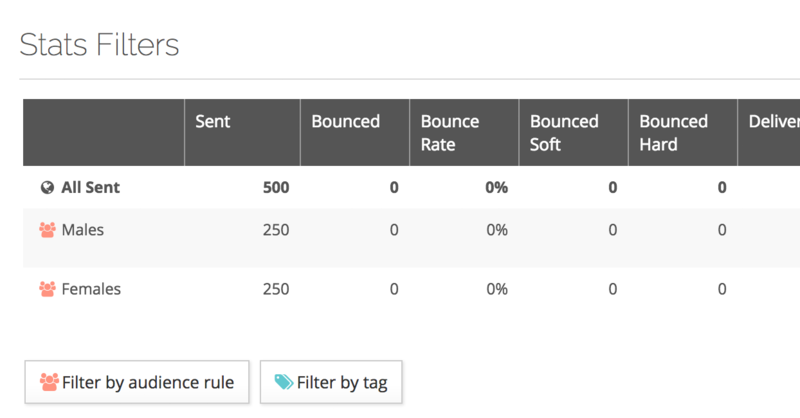 Stats filters (not available on aggregate reports) provide a way to further filter your message stats using audience rules and send tags. To enable this feature in your account please contact your account manager. By applying an audience filter to the report, you can view a subset of the total message stats. For example, you can filter message stats according to gender to compare how males and females performed against the entire message send. Before adding the filters, the desired audience rules must already exist in the system. 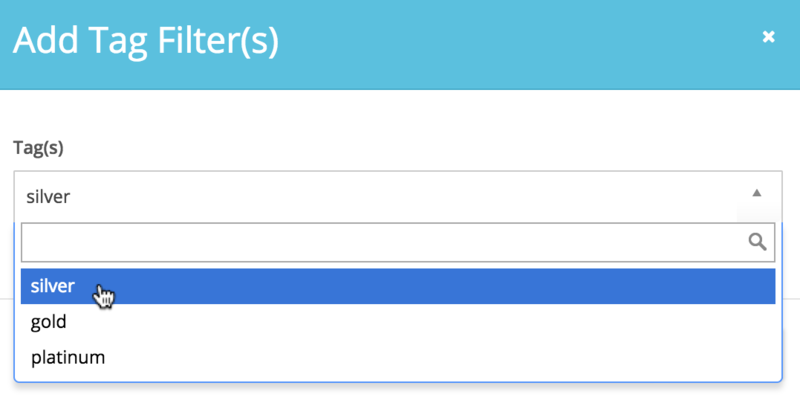 Click the Filter by audience rule button. Choose a previously saved audience rule and click continue. Each additional audience rule will show on a new row with the appropriate stats. Note: Audience rule results are dynamic and may change over time. This may skew stats and show different results depending on when the message was sent. To maintain consistent results, use send tag filters. 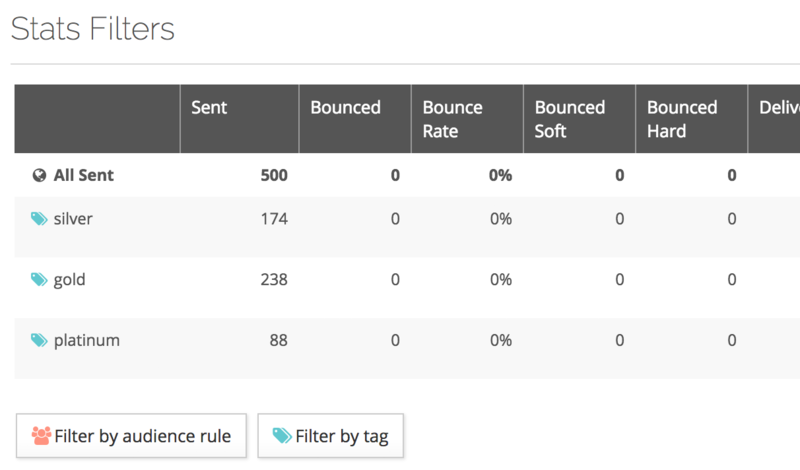 To maintain consistent stats filter results over time you can apply send tag filters. send tag filters are added within the message code using Smarty, and can be unique per contact based on a contact's attribute. For example, you may want to filter message stats according to a loyalty attribute to check a subset of the message send stats for Gold, Silver and Platinum members. Add the Smarty code to the message content to generate the tag on message send. In the loyalty example, we would use the following Smarty assuming the contact attribute "loyalty" exists in the system. The above code will add the send tag with contact's loyalty value per each message. Open the sent message and choose Filter by tag under Stats Filters. Choose the desired tags. In this example, silver, gold or platinum. Repeat the process for all desired tags and view the results. Tracked links will display as URLs unless they are named using Smarty within the message content. Learn more about naming tracked links. 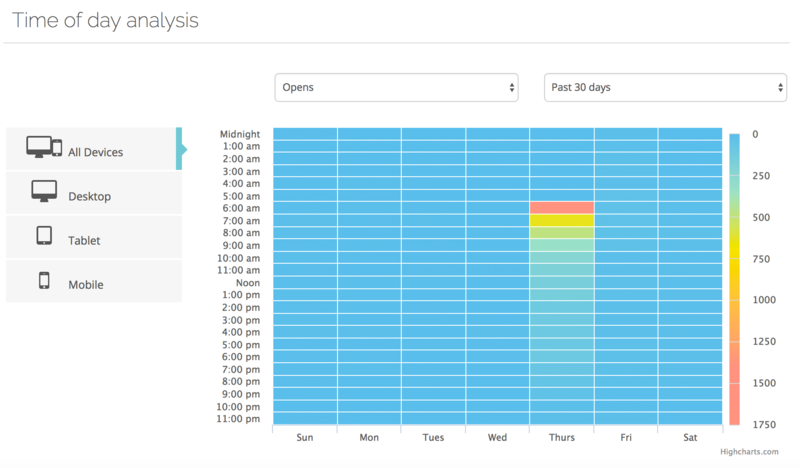 Allows you to visualize time of day analysis for opens and clicks for the past 30 or 90 days on desktop, tablet or mobile devices. Aggregate reports also provide the option to select the day of the week the email was sent.